Their 20 minute show incorporated a lively opening samba number to get the party started, followed by both the current A and B team formation routines (The Girl From Tiger Bay and The Blues Brothers). 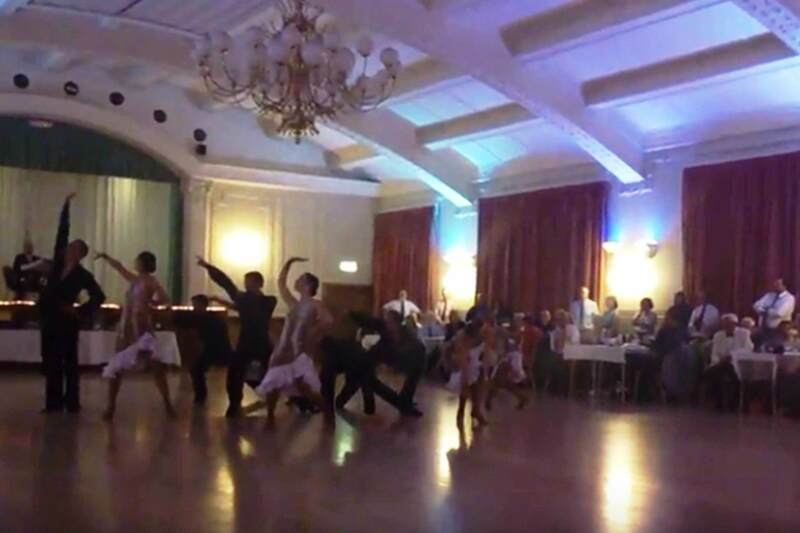 Interspersing the group numbers, individual couples from the team performed their waltz and rumba routines. To close the show, the team got the audience to their feet to join them in a snowball cha-cha-cha. If you are interested in XS Latin A and/or B teams performing at an event you are organising, you are extremely welcome to email contact@xslatin.org and we will be happy to discuss your ideas.